A one-man band who performs folk, rock, and blues, Kevin hales from his hometown of Calgary, Alberta, as a soulful blues traveler influenced by the music of Ryan Adams, Feist, Jack Johnson, and Maticulous. He plays electric and acoustic guitar, harmonica, and sings covers and original songs . WIRT extends our hearty thanks to the remarkable musicians, core WIRT activists, allies, and businesses who have supplied and co-coordinated the various preparation, publicity, and entertainment aspects of this upcoming opportunity for you to physically and fiscally contribute toward the climate justice movement in Idaho and the Northwest. Through this convergence, WIRT challengers of the corporate and government sources of climate chaos hope to further attract and involve cross-cultural and youth diversity in activism. With event donations, we also plan to cover large, litigation costs and provide meager, travel funds and on-site food and beverages for organizers and musicians sharing their admired talents. For further event and issue information and responses to your questions, to participate as an event volunteer or sponsor, and/or to contribute toward WIRT’s eighth anniversary celebration expenses, please visit the WIRT website and facebook pages, contact us via phone, email, or facebook message, and print and post the attached, color, Eighth Annual Celebration of WIRT Moscow and Sandpoint flyers. If you cannot attend but would like to donate toward WIRT work to halt coal and oil trains in the Idaho panhandle, tar sands mining and refining megaloads in the northern Rockies, and oil and gas extraction, production, and transportation in the Treasure Valley, please pitch in through our website “Donate to WIRT” button [5, 6] and/or our CrowdJustice funding site [4, 5]. 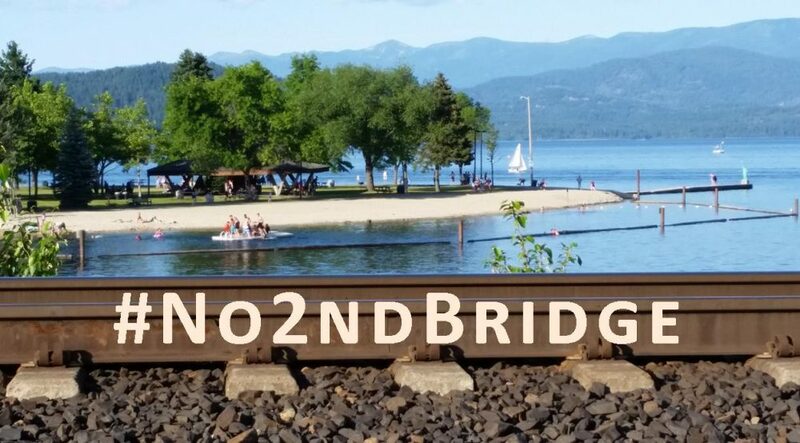 In our ninth year, we will continue to intensely oppose threats to healthy air, water, land, and life, from Payette River-side, gas wells and earthquake-prone, waste injection wells in southwest Idaho, and proposed, railroad track and bridge expansion of coal, oil, and hazardous freight pipeline-on-wheels across Lake Pend Oreille and north Idaho. Thanks for your ongoing support! We hope to see you and your friends and families at these celebrations! 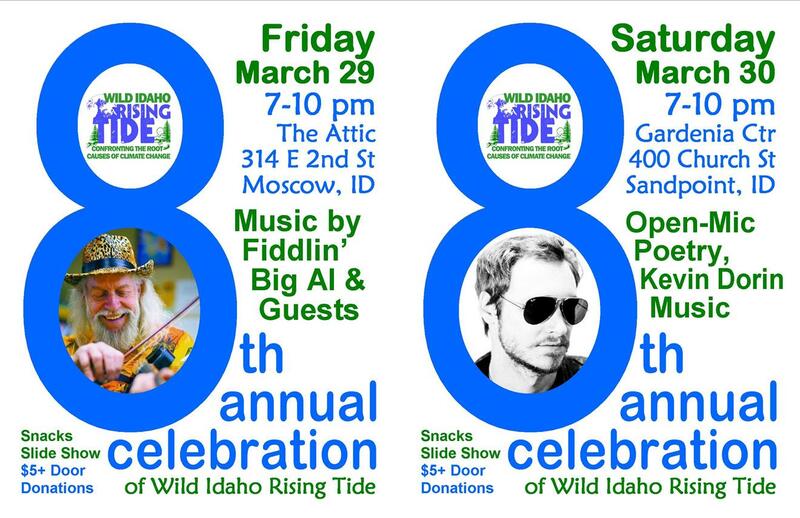 This entry was posted in Events, Wild Idaho Rising Tide by WIRT. Bookmark the permalink.